An early set back, a spirited response and a passionate crowd sees highly paid Hammers settle for a Premier League point. Without doubt the crowd played a massive part in lifting the gloom that had surrounded the club in recent weeks and proved that if the players are putting in a shift then the supporters will get behind the team. There remains a lot of animosity towards the Board but venting that anger and frustration without it affecting the team performance is a dilemma. I guess the best way to grab the owner’s attention is through their pockets rather than by match-day protests or Twitter rants. David Moyes would not be the first choice of many supporters but together with his coaching staff deserves the opportunity to prove his worth and show that he can steer the team towards safety. It is not his fault we find ourselves rooted in the bottom three and there was, at least, an indication of improved attitude, energy and spirit during last Friday’s match. Going a goal behind after only eight minutes was far from ideal and once again it was the result of a gift from the West Ham defence rather than earned by the guile and ingenuity of Leicester’s players. Inexplicably, Zabaletta had gone walk-about (something he did repeatedly during the course of the game), Reid allowed Vardy too much space to cross and Ogbonna failed to deal with what should have been a routine clearance. Apart from that early glitch the defence look reasonably sound although they were not really tested and it was to the team’s credit that they did not crumble after the early reverse. Looking through the squad, even if all the players are fit and available, it is difficult to select an obvious effective starting eleven, such is the imbalance with the players and skills available. While playing three centre backs might look attractive do we have wing-backs competent to both attack and defend? When playing as a back four can we provide adequate defensive cover in midfield? If we play with a lone striker how do we prevent him from becoming isolated? If we play two up front how to avoid being over-run in midfield? In the two Moyes matches to date it looks like Kouyate has been under orders to get forward more to support the striker with Arnautovic also getting into more central positions as his defensive responsibilities allow – in fact Kouyate and Arnautovic have taken up more dangerous positions than Carroll who has preferred to lurk out towards the edge of the area well away from where any crosses are aimed. There were signs on Friday that improved fitness had led to better organization but there is still a long way to go in improving quality; maybe that can come with confidence. There were reports over the weekend that West Ham were among the top twenty clubs in the world as far as wages paid are concerned. When you look at what has been served up on the pitch over the past year or so you can only conclude that we have been done! Yet the club are likely to present this astonishing fact as something to be proud of. My personal view is that claims that the owners are penny pinching is exaggerated but they really don’t spend their money wisely. A strategy based on players with Premier League experience (any who are likely to be attracted to a mid-table or worse club at that) is always going to be short term and expensive. More money on wages means less money on transfers. The lack of planning at West Ham continues to scupper any notion of continued improvement. A much better scouting network is required to unearth value which is what most other teams at our level try to do. Improving this requires David Sullivan to step away from his de facto role as Director of Football and bring in someone who really knows the game. What is and what isn’t a penalty continues to bemuse me. At what stage does ‘there wasn’t much contact’ become ‘he was entitled to go down’. And does attempting to stay on your feet mean that it cannot be a penalty? Diving is cheating and one of the curses of the modern game but it seems if you want to get a penalty you must end up on the floor for the referee to award it – and so referees are in effect encouraging it provided the player passes the entitled test. The recent rule of retrospective bans in situations where the referee has been conned is unlikely to make much of a difference. Previous Previous post: Will It Be A Black Friday For West Ham Against Leicester? 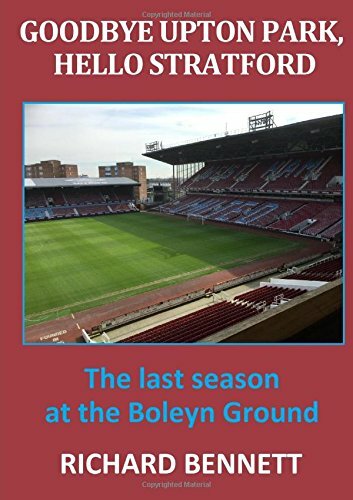 Next Next post: West Ham To Hammer The Toffees?